The courtyard at Nikkei Senior Gardens in Arleta. ARLETA — As Nikkei Senior Gardens prepares to mark its 10th anniversary, thoughts are turning to Harry Nakada and Harold Muraoka, whose vision and tenacity led to the establishment of the San Fernando Valley’s first senior facility for Japanese Americans. The enduring bond between Nakada and Muraoka began as a chance meeting and grew into a lofty vision to help care for the Nikkei community’s greatest generation. 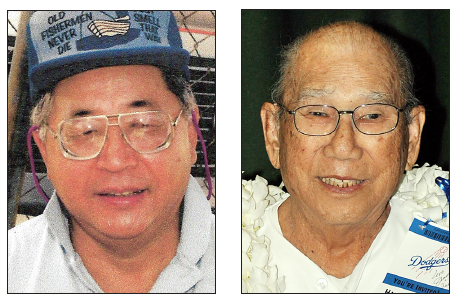 Sadly, Nakada and Muraoka passed away in 2018 within four months of each other, yet they continue to inspire those who support, staff, and reside at the facility. In many ways, the journey toward building the senior care facility became the two veterans’ most challenging battle as they faced negativity and mistrust from community members and, yes, friends. The dissent was discouraging, but Nakada and Muraoka kept their eye on the ultimate goal: a culturally sensitive residence for Nikkei seniors. On March 15, 2018, Muraoka passed away at the age of 87 following a lengthy illness. Just three and a half months later, on July 4, Nakada passed away. He was 93. As family and friends began planning how to properly say goodbye, the story of Harry and Harold’s uncommon friendship re-emerged. At the outbreak of World War II, when 120,000 persons of Japanese ancestry were unjustly removed from the West Coast and imprisoned in remote camps, the Nakada and Muraoka families were sent to Manzanar. Muraoka, a retired City of Los Angeles employee and associate state coordinator for the American Association of Retired Persons (AARP), served three terms as Community Center president. Under his leadership, the Center was able to secure a grant to hire a manager, create a hot meals program, and launch a summer youth employment program (SPEDY). Similarly, Nakada served two terms as Community Center president. Together, Nakada and Muraoka began the daunting task of fundraising. Fortunately, Nakada didn’t have to fight the battle alone. Both he and Muraoka were Korean War veterans and accustomed to conflict. Nakada was a member of the Military Intelligence Service (MIS), and Muraoka was in the U.S. Air Force and Strategic Air Command. They became fast friends while helping to form Veterans of Foreign Wars Post 4140. Their friendship evolved into an unbreakable bond. Together, they refused to give up on their vision of an assisted living facility for this and future generations. They defied their detractors, negotiated the deals to acquire the land, and moved ahead with construction. Eventually, the loan secured by the Center was paid in full. Interestingly, Muraoka, who was baptized as a Catholic, assumed the chairmanship in the construction of the San Fernando Nishi Hongwanji Buddhist Temple. Nakada found his spiritual path at the Crossway Church of the San Fernando Valley. After serving in Korea, Nakada returned to Southern California and married his sweetheart, Helen Iwanaka. Harry and Helen were married for 61 years. They had five children, Gary, Patti, Lois, Will, and Doug. The family moved to the San Fernando Valley in 1956, and by 1960 Harry was able to open his own business, Nakada Nursery. Harold Muraoka and Shigeko “May” Mukai started going steady as teenagers and stayed together a total of 69 years. Muraoka and his wife, a retired educator, raised three children, Russell, Cheryl, and Douglas. After Muraoka suffered a stroke in 2008, Nakada carried on with their mission to build the Nikkei Senior Gardens. 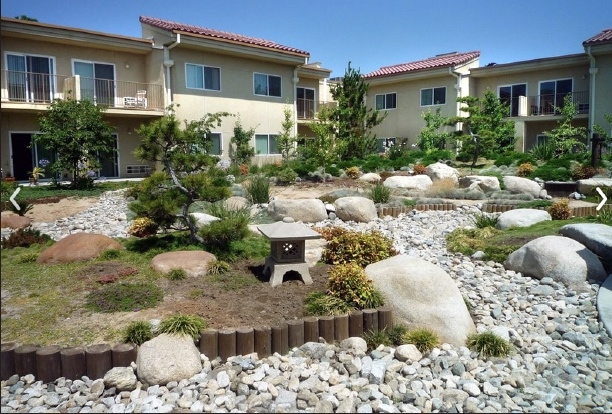 In 2010, Seniority Inc. began managing the 3.5-acre campus in partnership with Nikkei Senior Gardens, and Michael Motoyasu, a past president of the Community Center and former NSG board member, stepped in as executive director. By 2011, NSG had reached full capacity. Today, the facility accommodates about 100 residents whose average age is 91. “When you have staff that understands the Japanese culture, it makes a difference,” Motoyasu observed. A medication station renovation funded as part of the Keiro Grants Program was recently completed to help assist residents, who also receive wellness monitoring and assistance with everyday activities such as bathing and dressing and other needs. Motoyasu and the Nikkei Senior Gardens board of directors continue to draw their inspiration from the two men who dedicated themselves to serving others: Harry and Harold. Read eulogies by each family at zentokufoundation.com.